Help kids save the planet! 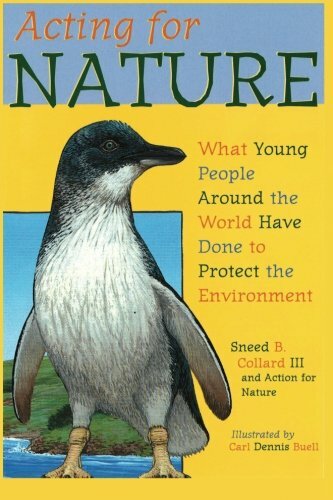 For 15 years, Action for Nature has been honoring Eco-Heroes: 8-16 year olds who have completed a substantial project to help sustain our planet. Eco-Heroes have gone onto work as ambassadors for the UN, save cheetahs in Namibia, and work for Google while creating partnerships between China and the United States. Eco-Heroes are often creating connections between ecosystems and humans, making the world a more livable, breathable, and healthier place. Learn HOW TO APPLY. Every year since 2003, ACTION FOR NATURE has sought to recognize and reward young people who are taking action to solve the world’s tough environmental problems. Youth from countries around the globe send in their stories and explain their work. Then a panel of judges including experts in environmental science, biology and education determines the year’s top achievers. Each ECO-HERO AWARD WINNER receives a cash prize of up to $500, a certificate of achievement, and media coverage. Sign up for our newsletter to receive news and updates from our Eco-Hero Alumni, Board Members, and Environmental Community! Check out our PRESS PAGE to read updates from the news media. We respect your privacy and inbox capacity. Thank you for joining the Action For Nature family! Photo: Gabriela of Puerto Rico teaching students about local bird life. Environmentally-friendly educational resources, green degrees, career paths, and top paying green careers for young ecologists. Action For Nature provides resources for parents and teachers of ecologically-minded students who want to make a difference.